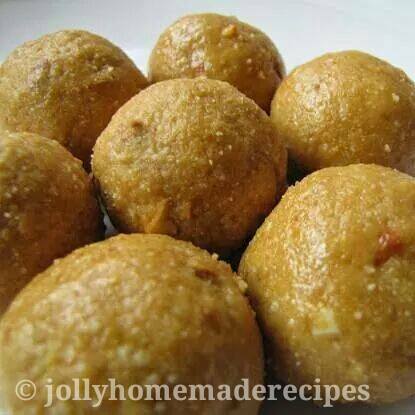 Besan Ladoo is a rich Indian desert made from roasted besan, sugar and some crunchy nuts. It is a delicious desert is often made for an auspicious or a pooja, it could also be a festive occasion like Diwali, Ganesha chaturthi or a religious ceremony conducted in our home or simply make them for any celebrations and enjoy them. This is very popular sweet-dish and easy to make.The appearance is satisfying and flavors too are rich, moist and yummy. Although ladoo's will be easily available in any of your nearby sweet shop but the one’s you make yourself taste even sweeter. Now it's time that you can make ladoo at home with some patience. Be soft and gentle with them and they will be softer and more tasty !!! You can make end number of deserts like spongy Rasgulla, sooji halwa, Motichoor Ladoo, sweet & golden vermicelli, feniyan kheer and many more. 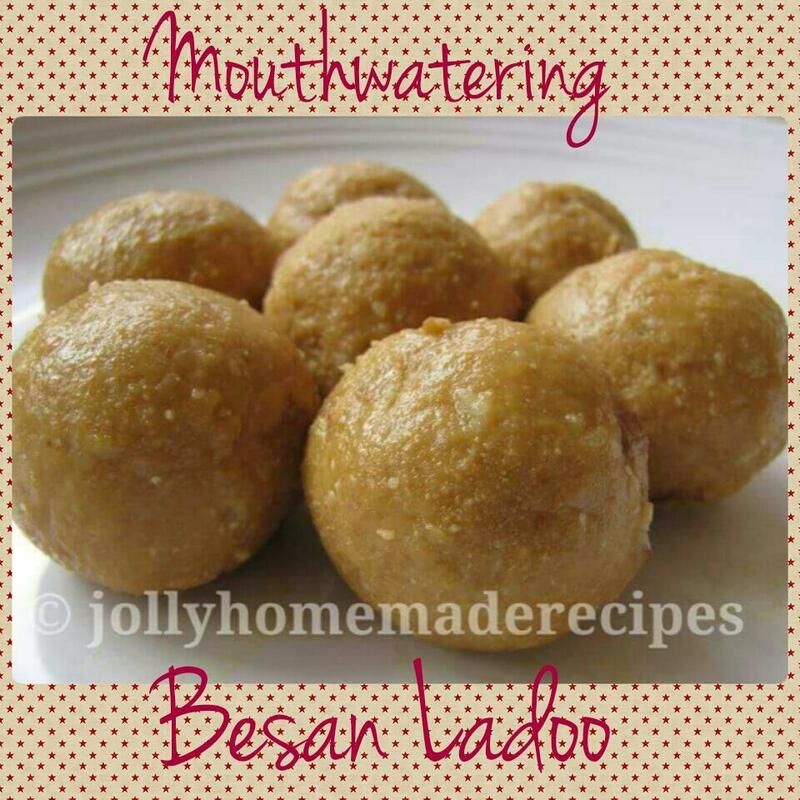 Learn how to make melt in the mouth besan ladoo recipe with step by step process. 1. Heat ghee in a thick bottom pan and fry besan on medium flame with cashews, till besan loses its raw smell and emits a sweet aroma. (approx 6-7 minute on medium flame till it is light golden yellow). 2. Continue to roast besan on a low flame till the color has changed and the ghee starts to release from the besan, approx 14-15 minutes and the aroma of the roasted besan will be clearly felt, if the besan is not roasted well then you will get a raw taste in the ladoo. 3. After it cools, mix the crushed/ powdered cardamom seeds, powdered sugar(boora) and almonds nicely. Stir well so that no lumps are formed and mixture does not stick to the bottom of the pan and burns. Switch off the flame. 4. Once the besan ladoo mixture cools down or is warm enough for you to handle, then make small or medium sized besan ladoos from the mixture. 5. 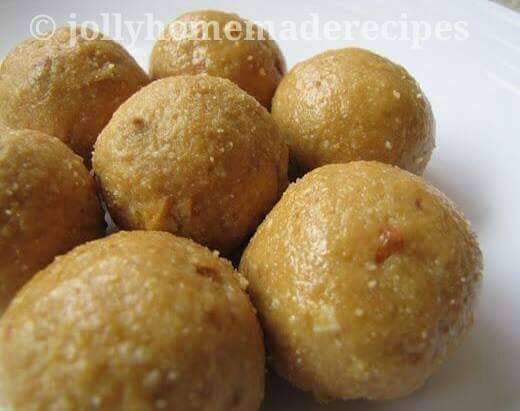 Serve besan ladoos immediately and after 3-4 hrs store them in air tight containers, if you want to store in freezer do so with freezer safe containers. If you are not able to make the ladoos, if the mixture is dry, add 1 or 2 tbsp of melted hot ghee in the mixture and mix well. If you are not able to make the ladoos of the mixture is too smooth and does not hold shape, then let the mixture cool and make the ladoos. 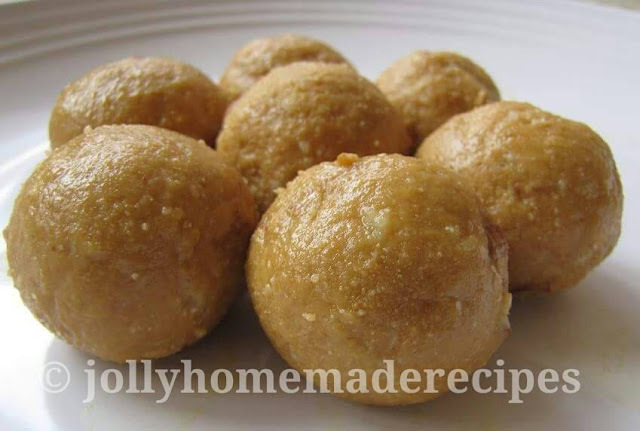 If still not able to, then add refrigerate the mixture for 20-30 minutes, after refrigerating the mixture becomes firmer and then you can form the ladoos easily. Happy Cooking and Enjoy !! Having a sweet tooth how can I say no to these gorgeous looking ladoos with ghee oozing out..I can smell it dear!! Oh they are so tempting!! love besan ke ladoo and they look so delicious .....homemade ladoos are the best!! Fully agree with homemade ladoos are always best...Thanks a lot dear puneetjabbal !! These besan ladoo looks and sounds yummy. I want some now to taste. For Besan Ladoo you've to Come to my place Sadhna...Thanks a lot !! Thanks so much Treat and Trick !! Oh wow! These look gorgeous and so delicious! I have a huge sweet tooth and could eat about fifty of these right now! Thanks for sharing - they look delicious! One of my favorite Diwali sweets! Not a big fan of sweet stuffs but ladoo is still an all time fav. So good. Looks so perfect dear Chef... save two for me..
My fav ladoo anytime.. nice one dear! !